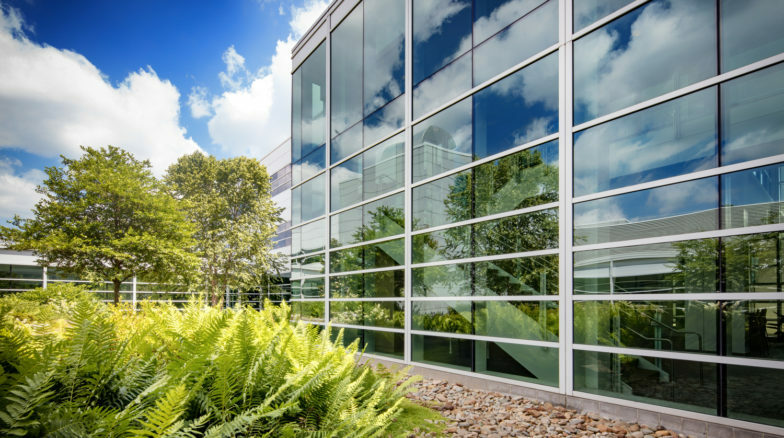 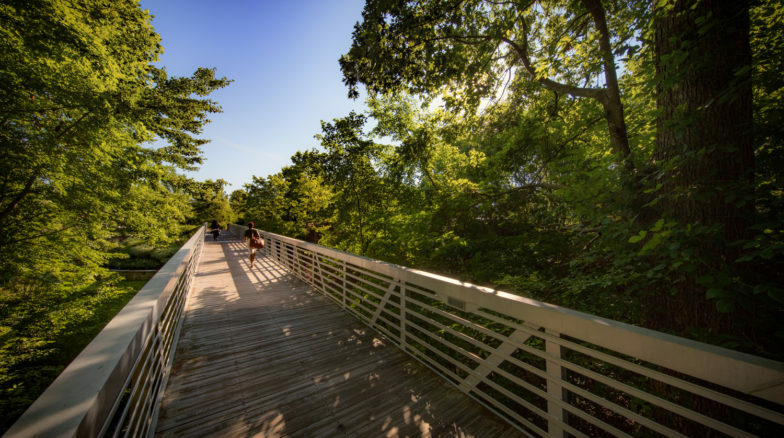 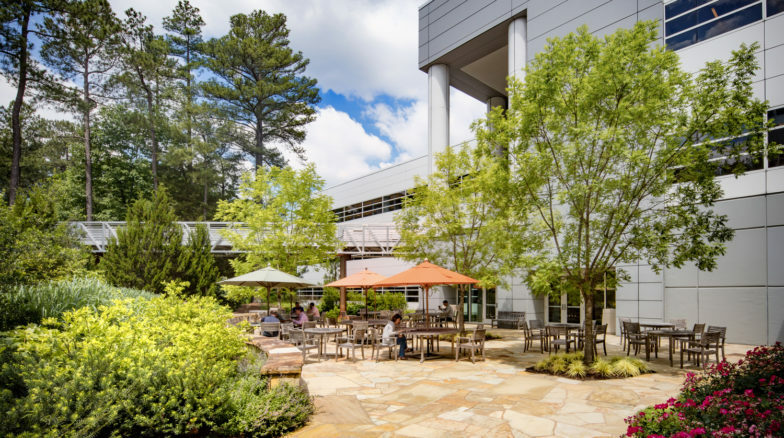 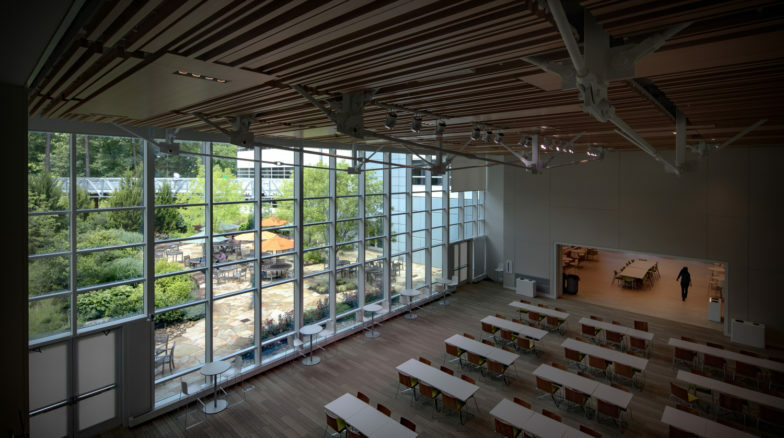 Surface 678’s Master Plan for this 124-acre campus in North Carolina’s Research Triangle Park (RTP) demonstrates this client’s commitment to a healthful and beautiful workplace. 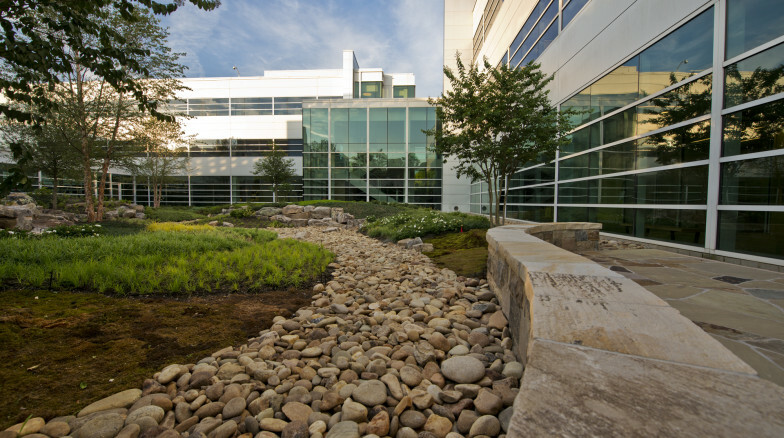 Two interior courtyards, designed as 4-sided view gardens, place a pastoral landscape at the heart of a dense office environment. 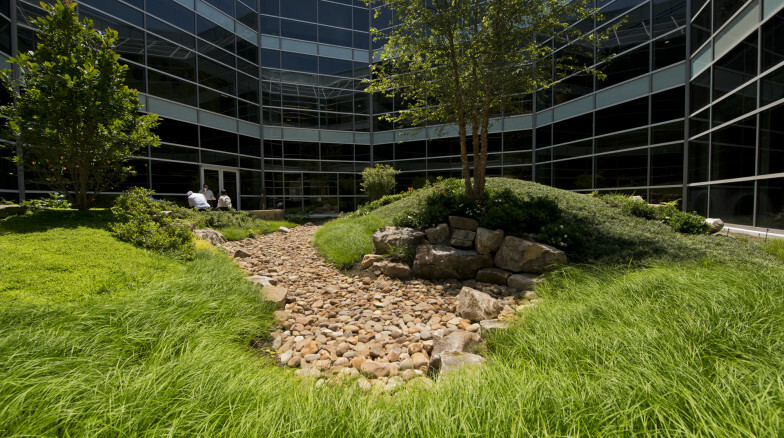 Garden composition takes into account specific views from two floors of office space. 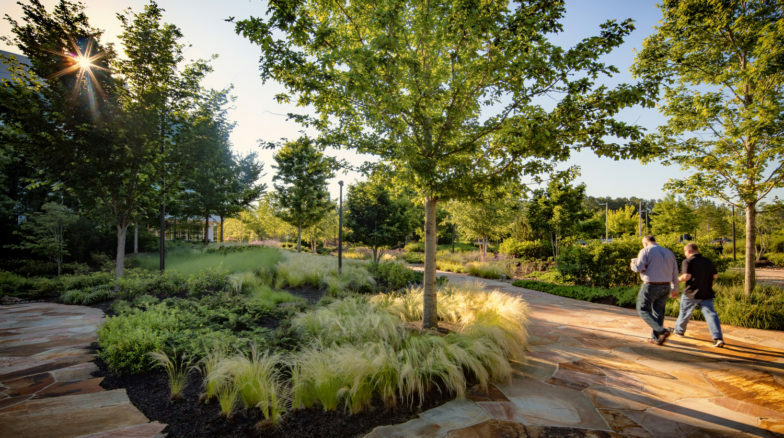 Special landscape amenities include an entry drive, courtyard and patio, as well as a jogging trail.